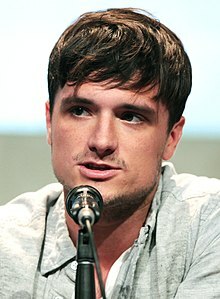 Hutcherson's other early film appearances include Little Manhattan and Zathura: A Space Adventure (both 2005), RV (2006), Bridge to Terabithia (2007), Journey to the Center of the Earth (2008), and The Kids Are All Right (2010). In 2011, he landed the leading role of Peeta Mellark in the box office record-setting film series The Hunger Games, released annually from 2012 to 2015, for which he won three MTV Movie Awards and a People's Choice Award. During the same period he also played a lead role in Journey 2: The Mysterious Island (2012) and a voice role in the animated film Epic (2013). In 2005, Hutcherson appeared in several Hollywood films while trying to establish himself in the industry. He portrayed the minor role of Bucky Weston in the comedy Kicking & Screaming. In 2005's Little Manhattan, he had a lead role alongside his younger brother, Connor. Stella Papamichael of the BBC approved of his performance, saying that "Hutcherson's delivery is spot-on, showing a keen instinct for self-effacing humor that would make even Woody Allen feel that bit more inadequate", but Variety columnist Brian Lowry felt that Hutcherson "might have looked cute on the page, but even with his Linus voice the language and tone [didn't] feel natural." He next appeared in a lead role in Jon Favreau's Zathura: A Space Adventure, which he enjoyed filming owing to the number of special effects and stunts he was involved with. 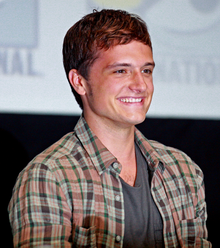 Hutcherson received the Young Artist Award for "Best Performance in a Feature Film by a Leading Young Actor" for the film. Before filming the Mockingjay movies, Hutcherson filmed Escobar: Paradise Lost, a French-Spanish thriller, which was released on January 16, 2015, in the U.S. He also served as an executive producer for the film, alongside first-time director Andrea Di Stefano, assisting with casting and blocking shots. Hutcherson said the opportunity "made [him] so hungry to do more like that". In November 2017, Hutcherson began starring in the science fiction comedy series Future Man on the video on demand service Hulu. Hutcherson endorsed and actively campaigned for Senator Bernie Sanders for President in the 2016 U.S. presidential election. Hutcherson holds the commission of a Colonel of the Commonwealth of Kentucky. ^ a b c d White, Danny (2013). Jennifer, Liam, and Josh: An Unauthorized Biography of the Star of The Hunger Games. Michael O' Mara Books Limited. ISBN 978-1-78243-184-8. ^ a b c Kiesewetter, John (October 19, 2003). "11-year-old finds sudden stardom". The Cincinnati Enquirer. Retrieved April 11, 2011. ^ Sherri Mabry Gordon (September 1, 2013). Josh! : Leading Man Josh Hutcherson. Enslow Publishers, Inc. p. 5. ISBN 978-0-7660-4200-1. ^ "Fun Facts About Josh Hutcherson". The Ellen DeGeneres Show. February 8, 2012. Archived from the original on December 11, 2013. Retrieved December 4, 2013. ^ "Josh Hutcherson Biography". FYI. Retrieved December 4, 2013. 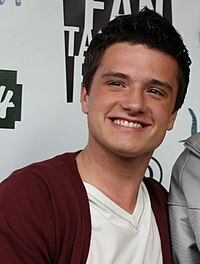 ^ a b "Josh Hutcherson: Full Biography". The New York Times. Retrieved December 3, 2013. 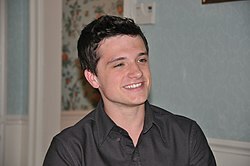 ^ a b c "Josh Hutcherson Interview". KidzWorld. Retrieved December 1, 2014. ^ a b c Aftab, Kaleem (November 14, 2014). "The Hunger Games' Josh Hutcherson interview: Coping with the pressure with being the star of a Hollywood franchise". The Independent. Retrieved December 16, 2014. ^ "Josh Hutcherson's new 'journey' to stardom". Qatar Tribune. February 2, 2012. Archived from the original on March 29, 2015. Retrieved December 29, 2014 – via HighBeam Research. (Subscription required (help)). ^ a b Bird, Rick (April 28, 2006). "Josh: A rising star". The Cincinnati Post. p. C1. ^ "Kentucky Child Star Sharing Stage with Hanks". Cincinnati Commercial Tribune. October 18, 2003. Archived from the original on March 29, 2015. Retrieved December 29, 2014 – via HighBeam Research. (Subscription required (help)). ^ a b c Buchanan, Kyle (August 3, 2009). "The Verge: Josh Hutcherson". Movieline. Retrieved December 19, 2014. ^ "Child Actor Program". Oakwood. Retrieved December 19, 2014. ^ a b c d Sperling, Nicole (March 20, 2012). "'Hunger Games': Josh Hutcherson on Peeta, fame, Jennifer Lawrence". Los Angeles Times. Retrieved December 6, 2014. ^ a b Herold, Kendall (August 7, 2012). "Local 'Hunger Games' star raising money for N.Ky. car crash victim". WCPO-TV. Archived from the original on December 11, 2014. Retrieved December 7, 2014. ^ a b c Sells, Mark. "Josh Hutcherson Interviewed by Mark Sells November 2005". Oregon State Media, Inc. Archived from the original on August 27, 2008. Retrieved December 19, 2014. ^ a b Carpenter, Edwin L. (April 9, 2007). "Josh Hutcherson is Living His Dream as an Actor". The Dove Foundation. Retrieved September 16, 2011. ^ "Miracle Dogs (2003)". The New York Times. Retrieved December 3, 2013. ^ "Miracle Dogs (2003)". Rotten Tomatoes. Retrieved January 29, 2014. ^ "Wilder Days (2003)". The New York Times. Retrieved October 20, 2014. ^ "American Splendor (2003)". The New York Times. Retrieved December 3, 2013. ^ Halperin 2004, p. 252. ^ Kiesewetter, John (December 5, 2012). "Holiday TV: Josh Hutcherson Rides the Polar Express". Cincinnati Commercial Tribune. Archived from the original on October 21, 2014. Retrieved October 20, 2014. ^ "The Polar Express (2004)". Rotten Tomatoes. Retrieved January 29, 2014. ^ "Howl's Moving Castle (2004)". The New York Times. Retrieved December 3, 2013. ^ "Kicking & Screaming: Cast and Crew". Fandango. Retrieved October 20, 2014. ^ "Little Manhattan Synopsis". Fandango. Retrieved October 20, 2014. ^ Papamichael, Stella (July 6, 2006). "Little Manhattan (2006)". BBC. Retrieved December 29, 2014. ^ Lowry, Brian (September 29, 2005). "Review: 'Little Manhattan'". Variety. Retrieved December 7, 2014. ^ "Zathura Synopsis". Fandango. Retrieved October 20, 2014. ^ Bird, Rick (November 10, 2005). "Up and Coming Local Star: Josh Hutcherson". The Cincinnati Post. Archived from the original on March 29, 2015. Retrieved December 29, 2014 – via HighBeam Research. (Subscription required (help)). ^ a b "27th Annual Awards". Young Artist Association. March 25, 2006. Archived from the original on July 4, 2010. Retrieved November 27, 2013. ^ "N. Kentucky young star, Bee in films". The Cincinnati Post. April 21, 2006. p. T7. ^ "RV (2006)". Fandango. Retrieved October 20, 2014. ^ Bird, Rick (April 28, 2006). "Josh: A Rising Star". The Cincinnati Post. Archived from the original on March 29, 2015. Retrieved December 29, 2014 – via HighBeam Research. (Subscription required (help)). ^ Chang, Justin (April 27, 2006). "Review: 'RV'". Variety. Retrieved December 7, 2014. ^ a b "28th Annual Awards". Young Artist Association. March 10, 2007. Archived from the original on May 31, 2014. Retrieved November 28, 2013. ^ "Bridge to Terabithia:Stars Loved New Zealand". The Cincinnati Post. February 20, 2007. Archived from the original on March 29, 2015. Retrieved December 29, 2014 – via HighBeam Research. (Subscription required (help)). ^ a b Westhoff, Jeffrey (February 15, 2007). "Westhoff: 'Terabithia' stars hope to inspire imaginations". Northwest Herald. Archived from the original on January 7, 2014. Retrieved January 6, 2014. ^ Paietta 2007, p. 33. ^ Hornaday, Anne (February 16, 2007). "'Bridge': Crossing Into The Heart of Childhood". The Washington Post. Retrieved December 29, 2014. ^ Di Nunzio, Miriam (February 16, 2007). "Imagination triumphs in 'Bridge to Terabithia'". Chicago Sun-Times. Archived from the original on March 10, 2007. Retrieved December 29, 2014. ^ a b c "29th Annual Awards". Young Artist Association. Archived from the original on July 6, 2008. Retrieved November 27, 2013. ^ a b c Jacobs, Evan (March 30, 2007). "INTERVIEW: Josh Hutcherson Talks Firehouse Dog". MovieWeb. Retrieved October 20, 2014. ^ Chun, Alex (April 4, 2007). "From pampered pooch to intrepid 'Firehouse Dog'". Los Angeles Times. Retrieved December 7, 2014. ^ Rickey, Carrie (April 4, 2007). "From dog star to star of a boy's life". The Philadelphia Inquirer. Archived from the original on March 4, 2014. Retrieved December 20, 2014. ^ Fleming, Michael (March 28, 2007). "Hudson may star in 'Winged'". Variety. Retrieved April 1, 2007. ^ Pickle, Betsy (July 26, 2008). "Teen star enjoys 'Journey' of role". The Journal Gazette. Scripps Howard News Service. Archived from the original on December 2, 2013. Retrieved December 20, 2014. ^ "Cirque du Freak: The Vampire's Assistant (2009)". The New York Times. Retrieved December 3, 2013. ^ "The Kids Are All Right (2010)". The New York Times. Retrieved December 3, 2013. ^ a b Ellwood, Gregory (July 7, 2010). "Josh Hutcherson talks Kids Are All Right, Red Dawn and dreams of a Spider-Man never to be". HitFix. Retrieved December 16, 2014. ^ Rich, Katey (July 13, 2010). "Interview: The Kids Are All Right's Josh Hutcherson". Cinema Blend. Retrieved December 16, 2014. ^ Sciretta, Peter (January 16, 2011). "2011 Golden Globe Award Winners". /Film. Retrieved November 29, 2014. ^ "2010 Academy Awards® Winners and History". AMC. 2010. Retrieved November 29, 2014. ^ Valby, Karen (April 7, 2011). "Team 'Hunger Games' talks: Author Suzanne Collins and director Gary Ross on their allegiance to each other, and their actors". Entertainment Weekly. Retrieved December 7, 2014. ^ Sperling, Nicole (April 4, 2011). "'The Hunger Games': Josh Hutcherson and Liam Hemsworth complete the love triangle". Los Angeles Times. Retrieved April 4, 2011. ^ "'The Hunger Games' Movie: Josh Hutcherson Cast As Peeta, Liam Hemsworth As Gale". The Huffington Post. April 4, 2011. Retrieved December 2, 2013. ^ "Peeta Mellark". People. March 28, 2012. Retrieved December 1, 2014. ^ Valby, Karen (May 20, 2011). "'The Hunger Games': Jennifer Lawrence defends her Peeta and Gale". Entertainment Weekly. Archived from the original on May 23, 2011. Retrieved December 8, 2014. ^ Delahaye, Gabe (February 6, 2012). "Introducing The Youngest Hollywood Prankster In The Prank Game: Josh Hutcherson". Videogum. Archived from the original on February 7, 2012. Retrieved December 2, 2014. ^ "Josh Hutcherson On Getting Concussion From Jennifer Lawrence On 'Hunger Games' Set On 'Late Show With David Letterman'". The Huffington Post. March 22, 2012. Retrieved December 8, 2014. ^ a b c d e "2012 Movie Award Winners". MTV. June 3, 2012. Retrieved December 3, 2013. ^ a b "2012 NewNowNext Award Winners". Logo. Retrieved December 20, 2014. ^ a b "Josh Hutcherson to Receive "CinemaCon® Breakthrough Performer of the Year Award"". National Association of Theatre Owners. March 27, 2012. Retrieved October 20, 2014. ^ Travers, Peter (March 21, 2012). "The Hunger Games". Rolling Stone. Retrieved December 7, 2014. ^ "Detention (2011)". The New York Times. Retrieved December 3, 2013. ^ "Josh Hutcherson Filmography". Fandango. Archived from the original on December 24, 2013. Retrieved December 3, 2013. ^ Nayman, Adam. "After-School Special: Joseph Kahn's Detention". Retrieved December 30, 2014. ^ Rugaard, Jason (July 16, 2012). "The Forger (2012) – Review". Retrieved December 30, 2014. ^ "Journey 2: The Mysterious Island". Rotten Tomatoes. Retrieved December 2, 2013. ^ "Journey 2: The Mysterious Island (2012)". Box Office Mojo. Retrieved December 2, 2013. ^ Murray, Rebecca. "Josh Hutcherson and Vanessa Hudgens Discuss 'Journey 2: The Mysterious Island'". About.com. Archived from the original on October 20, 2014. Retrieved December 29, 2014. ^ Fine, Marshall (February 7, 2012). "Movie Review: Journey 2: The Mysterious Island". The Huffington Post. Retrieved December 26, 2014. ^ Outlaw, Kofi (February 10, 2012). "'Journey 2: The Mysterious Island' Review". Screen Rant. Retrieved December 26, 2014. ^ "Red Dawn (2012)". Rotten Tomatoes. Retrieved December 1, 2013. ^ a b c "Josh Hutcherson". Rotten Tomatoes. Retrieved February 5, 2014. ^ "Epic". The New York Times. Retrieved December 3, 2013. ^ "Epic (2013)". Rotten Tomatoes. Retrieved December 3, 2013. ^ Tranell, Kim. "Exclusive First Look: Josh Hutcherson's Catching Fire Workout". Men's Fitness. Retrieved December 2, 2014. ^ Gilchrist, Todd (November 12, 2013). "Review: 'The Hunger Games: Catching Fire' Starring Jennifer Lawrence, Liam Hemsworth & Josh Hutcherson". Indiewire. Archived from the original on December 9, 2014. Retrieved December 1, 2014. ^ a b "Winners". MTV. April 13, 2014. Retrieved November 13, 2014. ^ "Lady Gaga to Host 'SNL'; Josh Hutcherson Also Tapped". The Huffington Post. October 31, 2013. Retrieved December 3, 2013. ^ Watkins, Gwynne (November 24, 2013). "'SNL' Catches 'Hunger Games' Fever With Josh Hutcherson". Rolling Stone. Retrieved January 11, 2014. ^ Ryan, Mike (November 24, 2013). "'SNL' Scorecard: Josh Hutcherson Is Offered Up As A Serviceable Tribute". The Huffington Post. Retrieved November 29, 2014. ^ Surico, John (November 25, 2013). "The Saturday Night Live Recap: Josh Hutcherson and Haim". GQ. Retrieved November 29, 2014. ^ Fritz, Ben (July 10, 2012). "'The Hunger Games: Mockingjay' release dates set for 2014, 2015". Los Angeles Times. Retrieved January 6, 2014. ^ "Josh Hutcherson talks Peeta in The Hunger Games: Mockingjay: 'I'm nervous – I've never gone crazy in a movie before'". sugarscape.com. November 16, 2013. Retrieved November 29, 2014. ^ Yahr, Emily (November 23, 2014). "'The Hunger Games: Mockingjay Part 1': What was the most disturbing scene?". The Washington Post. Retrieved November 29, 2014. ^ Edelstein, David (November 17, 2014). "The Hunger Games: Mockingjay – Part 1 Is Bleak, Depressing, and Really Good". New York. Retrieved December 29, 2014. ^ James White (November 14, 2014). "Escobar: Paradise Lost Trailer Unveiled". Empire. Retrieved November 14, 2014. ^ a b Krochmal, Shana Naomi (October 9, 2013). "Josh Hutcherson, Straight Talker". Out. Retrieved December 2, 2014. ^ Goldberg, Lesley (September 9, 2016). "'Future Man,' From Seth Rogen and Starring Josh Hutcherson, Ordered to Series at Hulu". The Hollywood Reporter. Retrieved January 15, 2018. ^ Steele, Michael (2014). "Hunger Games: Mockingjay". Us Weekly: 63. ^ a b David, Mark (May 21, 2012). "Josh Hutcherson Buys Tree House in Tinseltown". Variety. Retrieved December 19, 2014. ^ Blacklow, Jeremy (October 9, 2013). "Josh Hutcherson Gets Candid About His Sexuality". Yahoo!. Retrieved February 9, 2014. ^ "3rd Annual Josh Hutcherson Celebrity Basketball Game Returning to the Nike 3ON3 Basketball Tournament at L.A. LIVE". Anschutz Entertainment Group. June 23, 2014. Archived from the original on December 6, 2014. Retrieved November 28, 2014. ^ "The Team". Straight But Not Narrow. Archived from the original on February 24, 2015. Retrieved November 28, 2014. ^ Malkin, Marc (April 19, 2012). "Hunger Games' Josh Hutcherson Opens Up on Gay Rights: I Had Two Uncles Die From AIDS". E!. Retrieved February 10, 2014. ^ Donnelly, Matt (April 16, 2012). "'Hunger Games' star Josh Hutcherson to receive GLAAD honor". Los Angeles Times. Retrieved April 16, 2012. ^ Oldenburg, Ann (February 20, 2015). "Josh Hutcherson tells us his Oscar best picture pick". USA Today. Retrieved February 20, 2015. ^ Ehrhardt, Michelle (August 8, 2014). "Josh Hutcherson's New Campaign to Connect LGBTQ Youth". Out. Retrieved February 1, 2015. ^ "Josh Hutcherson Celebrity Basketball Game — Event Overview". Nike. Archived from the original on December 5, 2014. Retrieved November 28, 2014. ^ "Josh Hutcherson, Queen Latifah to honor teens". Hindustan Times. November 4, 2013. Archived from the original on March 29, 2015. Retrieved December 29, 2014 – via HighBeam Research. (Subscription required (help)). ^ "Bernie Sanders for President". Archived from the original on August 21, 2018. Retrieved August 21, 2018. ^ Ultraman. Episode 1. USA: Netflix. Event occurs at Closing credits, English Language Cast. ^ "25th Annual Awards". Young Artist Association. Archived from the original on August 17, 2016. Retrieved November 27, 2013. ^ a b "26th Annual Awards". Young Artist Association. Archived from the original on April 14, 2015. Retrieved November 28, 2013. ^ "30th Annual Awards". Young Artist Association. Archived from the original on July 19, 2011. Retrieved January 6, 2014. ^ Knegt, Peter (October 18, 2010). ""Winter's Bone" Leads 2010 Gotham Award Nominations". Indiewire. Retrieved January 9, 2014. ^ "2010 WAFCA Awards – The Washington DC Area Film Critics Association (WAFCA)". Washington D.C. Area Film Critics Association. December 6, 2010. Retrieved January 9, 2014. ^ Morris, Wesley (December 13, 2010). "'Social Network' is tops with Boston Society of Film Critics". The Boston Globe. Retrieved January 9, 2014. ^ Carlson, Alex (January 10, 2011). "Catching Up on Some Critics Awards". Film Misery. Retrieved January 9, 2014. ^ "16th Annual Critics' Choice Movie Awards (2011)". Broadcast Film Critics Association. November 20, 2011. Archived from the original on January 17, 2014. Retrieved January 9, 2014. ^ "The 17th Annual Screen Actors Guild Awards". Screen Actors Guild. Retrieved January 9, 2014. ^ a b "Teen Choice Awards 2012: List of winners". CBS News. July 23, 2012. Retrieved January 9, 2014. ^ Rome, Emily (August 20, 2012). "Ben Affleck, Lea Michele, Will.i.am, other celebs honored at Do Something Awards". Entertainment Weekly. Retrieved December 3, 2013. ^ "'The Hunger Games' wins big at People's Choice Awards". Entertainment Weekly. January 10, 2013. Retrieved December 3, 2013. ^ Nordyke, Kimberly (August 10, 2014). "Teen Choice Awards: The Complete Winners List". The Hollywood Reporter. Retrieved November 13, 2014. ^ Longeretta, Emily (June 9, 2015). "Teen Choice Awards Pit One Direction Against Zayn Malik". Hollywood Life. Retrieved June 14, 2015. ^ Steinbach, Jesse (October 18, 2013). "Remember When: Josh Hutcherson Showed Us His Crib". Out Magazine. Retrieved July 16, 2018. ^ "Famous Colonels". kycolonels.org. Kentucky Colonels. Retrieved July 16, 2018.